Crawl spaces in New Jersey properties can be especially susceptible to mold problems because crawl spaces can be the most vulnerable to moisture buildup. 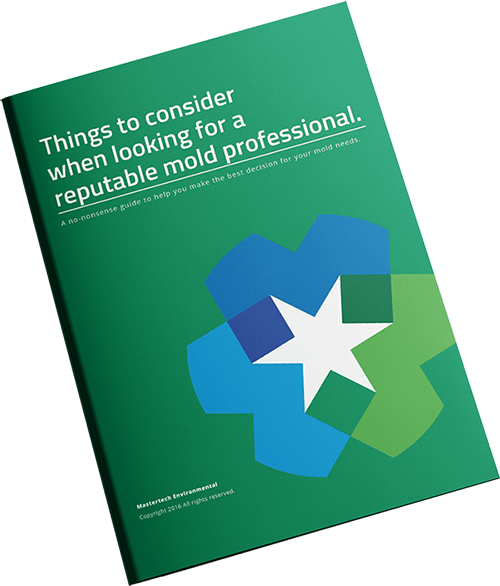 If South Jersey homeowners are not careful, moisture buildup from insufficient ventilation, ground water seepage, flood or other moisture event can put your at great risk of a widespread mold contamination. Over time, unaddressed moisture buildup in your crawl space will can cause serious property damage and widespread mold growth. If you have mold in your crawl space from a history of moisture issues, let the crawl space mold removal professionals in South Jersey help. Mastertech’s crawl space mold removal professionals in New Jersey can identify if a mold problem exists in your crawl space, assess the conditions that may be causing and supporting mold growth, and provide you with an appropriate crawl space mold removal scope of work. 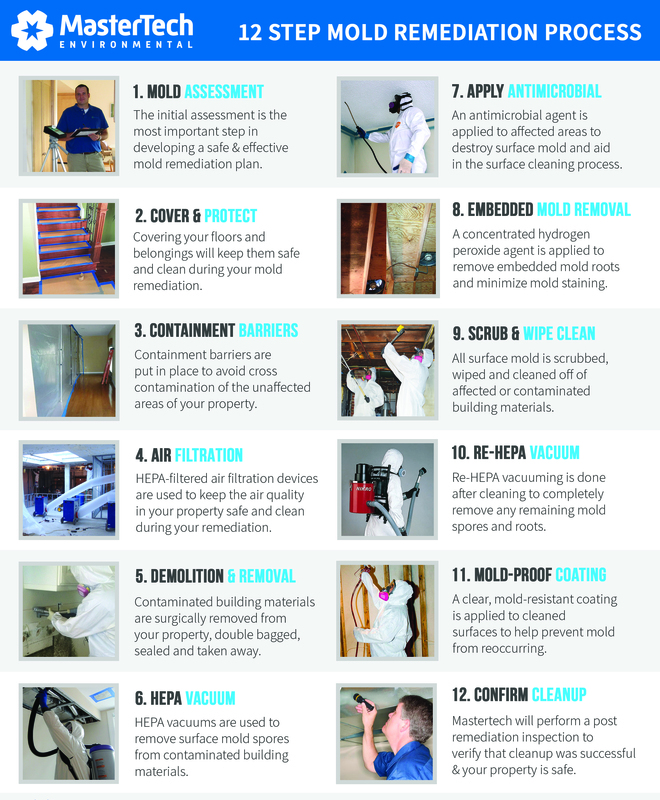 Following mold removal, it is important to implement the right crawl space mold preventatives in order to ensure that your crawl space remains mold-free for years to come. New Jersey crawl spaces can be the ideal environment for mold development because crawl spaces tend to experience quite a bit of moisture buildup. Unfortunately, crawl spaces are not always easily accessible for homeowners to conduct routine maintenance checks. Often times, homeowners are not even aware of mold development until the odors have permeated through to the main living space. If you have these problems, contact Mastertech for mold testing and crawl space mold removal before the situation gets out of hand. If you think you detect signs of mold development in your crawl space, you should contact a mold professional today. A trained and certified Mastertech mold inspector can conduct a thorough crawl space mold inspection and get to the bottom of the problem. Visual Assessment – Your MasterTech Inspector will complete a comprehensive visual analysis of all areas of concerns to determine if there are any conditions that would cause and sustain mold growth. All mold inspections will be digitally documented, and you will have access to all the files for your records. Moisture Mapping – During your NJ crawl space mold inspection, your inspector will carefully map out the damp or wet areas of your crawl space to diagnose the water source and understand how many areas have been affected. Moisture Meters – Moisture meters will determine the moisture content of building materials in your crawl space. Moisture locked within porous building materials like foundation walls can go unnoticed for a long time. Thermal Imaging – Your mold inspector will be taking advantage of the temperature difference between wet and dry materials. By isolating all the wet areas of the crawl space, your inspector will be able to gain a further understanding of the mold growth pattern. Crawl Space Mold Testing – Surface and/or air quality tests will provide scientific data that will confirm or deny the presence of mold. If mold is confirmed in your crawl space, the test results will help your inspector figure out the most appropriate course of action to resolve the mold issue. Report of Findings – Your inspector will compile a clear and concise report that outlines all his/her findings. If necessary, your inspector will present you with a detailed scope of work for a safe and effective crawl space mold removal. Unaddressed crawl space mold can spread and permeate through to your main living space. All crawl space mold removal projects, completed by our trained team of crawl space mold removal technicians, is backed by a 5-year, mold-free warranty. It is our promise that the mold is gone, and it will not return. The professional crawl space mold removal technicians at MasterTech Environmental will develop the safest and most efficient crawl space mold removal solution that is tailor-made for your individual crawl space mold removal needs. Every Mastertech crawl space mold removal in New Jersey is backed by a 5-year, mold-free warranty that promises that the mold has been successfully removed and will not come back. At Mastertech, each technician on our crawl space mold removal team must undergo intensive technical and safety training to ensure that they are ready for the job. With our focus on quality control and safety, you can be sure that we will provide you with the safest, most effective and most efficient crawl space mold removal services possible. We strive to exceed client and industry standards by going the extra mile to get the job done right. If you are concerned about a possible mold problem in the crawl space of your South Jersey property, you should consult a expertly trained mold professional who is trained to handle crawl space mold contaminations. Call 609-948-8844 today to learn more about Mastertech Environmental’s mold removal services in your New Jersey area. A member of the Mastertech Team will be happy to answer all your questions and set you up with an appointment with a certified mold inspector in your area. In addition to professional crawl space mold removal, Mastertech Environmental also provides the following professional mold services: attic mold removal NJ and Basement mold removal NJ.